James Corden returns to our screens in the latest Confused.com TV advert, as the brand looks to accelerate growth in 2017. 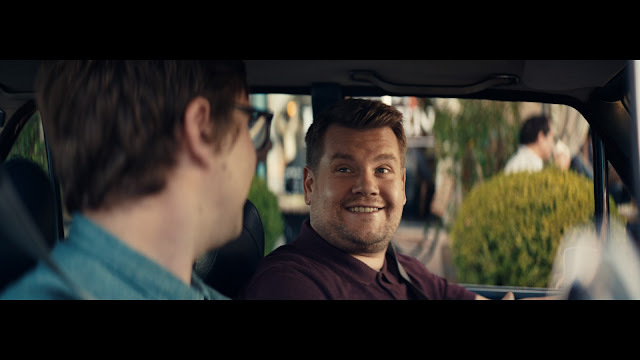 The second in the series of driver-focused TV adverts for the site which is no.1 for car savings sees Corden behind the wheel once again, landing another driver win with a perfect park. Building on the success of the first ad launched in summer 2016 - which saw Corden enjoying a miraculous run of luck as every set of traffic lights turned green as he drove through London - the latest offering has relocated to the bright lights of Hollywood. Still celebrating the driver wins that Confused.com is now synonymous with, Corden – again joined by a companion – navigates hilarious obstacles and LA traffic to successfully complete a notoriously difficult parallel park outside a hip Hollywood eatery. The new advert comes as Confused.com has been unveiled as the no.1 site for car savings, providing more opportunities for drivers to save money than any other website. The brand has extended its already comprehensive range of motoring products. It now covers the widest range of money-saving offerings, including MOT & service comparison, car buying and selling, tyre comparison, and both petrol and parking price comparison tools. In addition to the launch of its new advertising campaign starring Corden, a fully-integrated marketing campaign and a number of national media partnerships have also been secured. These include sponsorship of Drivetime across the Heart network, and a weekly column in the Sunday Times motoring supplement. Brief: Continuation of Confused.com’s campaign to establish their driver focused positioning with the celebration of a bigger and better driver win – the perfect park. VFX Team: Shalwin Shaiju, Sreenivasa Aditya Yanam, Amit Shukla, Maheswar Konda, Akhil K.P.